5751. 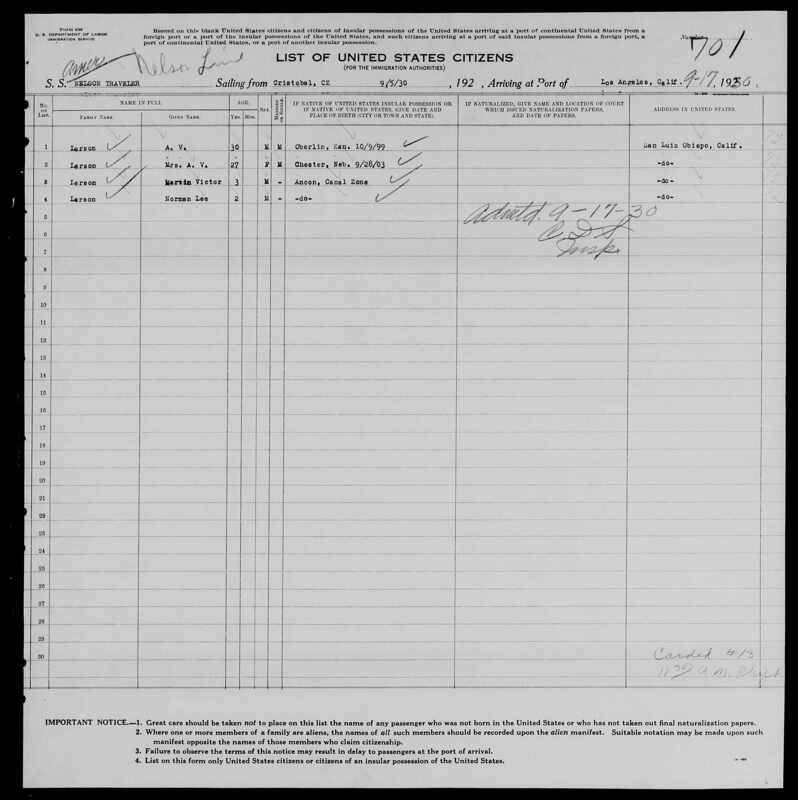 Gerald Maurice Monson Jr, “Texas Birth Index, 1903-1997,” November 15, 1947, Brazos, Texas, https://familysearch.org/ark:/61903/1:1:VD6K-MF1. 5756. “Willie Lois Thorpe Monson,” Find-A-Grave, https://www.findagrave.com/memorial/119000795, 119000795. 5757. “Donald R Monson,” Find-A-Grave, https://www.findagrave.com/memorial/67345669, 67345669. 5760. “Obituaries,” Kenneth H. Hagel, Lincoln Journal Star, Lincoln, Lancaster County, NE, August 1, 2007, B 03-04. Kenneth H. Hagel, 77, Commerce City, Colorado, formerly of Lincoln, died Monday (7/23/07) in Denver. He was born in Lincoln (6/2/30) to Alexander and Kathryn (Hardt) Hagel. He is a retired executive chef of the University Food Service. He is survived by his wife, Mary Lu. Graveside service: 3 p.m. Wednesday (8/1/07), Wyuka Cemetery, 3600 O St. Please meet at the O Street gate. 5761. “Obituaries,” Kathryn Hardt Hagel, Lincoln Journal Star, Lincoln, Lancaster County, NE, February 12, 2000, B 04. Hagel -- Kathryn, 95, Hollister, Calif., formerly of Lincoln, died Thursday (2/10/ 00). Born, Balzar, Russia (2/5/05) to Alexander and Mary (Sterkel) Hardt. Former co-owner, Hagel's Fine Foods, Santa Rosa, Calif. Survivors: son, daughter-in-law, Kenneth and Mary Lou, Hollister, Calif.; sisters, Elsie Firestone, Mary Schneider, Theresa Zitterkoph, Lydia Schmidt, all of Lincoln; six grandchildren; seven great-grandchildren; nieces, nephews. Preceded in death by husband, Alexander (1989). Private graveside services, Wyuka Cemetery. Wyuka Funeral Home. 5762. 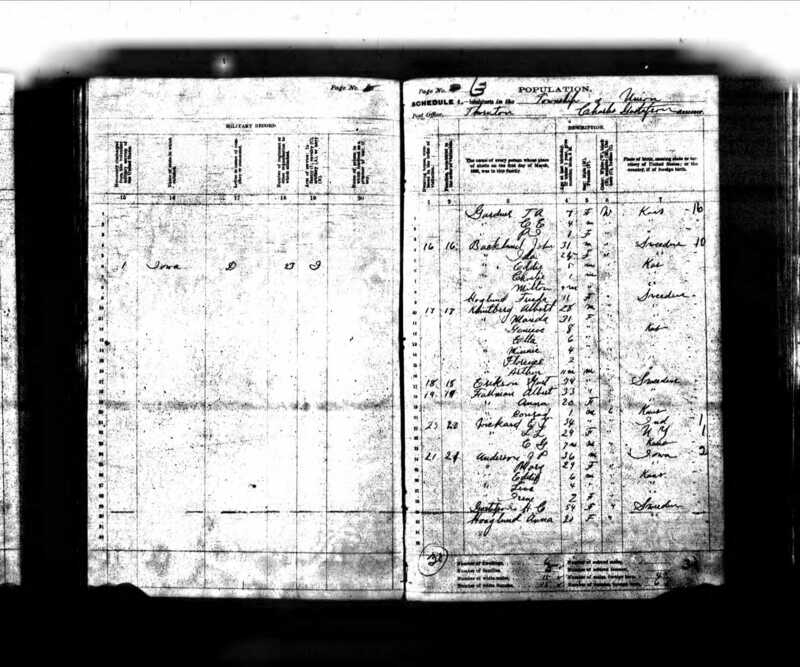 Aaron Victor Larson and family, “California, Los Angeles Passenger Lists, 1907-1948,” September 17, 1930, Port of Los Angeles, CA, https://familysearch.org/ark:/61903/1:1:KZQ9-GLZ. 5763. “Obituaries,” Linda K McCoy, Lincoln Journal Star, Lincoln, Lancaster County, NE, June 13, 2011, B-04. Linda K. McCoy, 62, of Lincoln, formerly of Beatrice died at Bryan-West Hospital in Lincoln on Saturday, June 11, 2011. She was born July 6, 1948 at Auburn. She lived at Beatrice State Developmental Center in Beatrice for over 50 years and she worked in the housekeeping department. She moved to Lincoln in 2006 and worked at vital services doing packaging for Oriental Trade Company. She enjoyed country western music, getting her nails done, painting and jewelry. Survivors include her mother, Wilma McCoy of Lincoln; four brothers, Bill McCoy and wife Tammie, Steve McCoy and wife Kathie, and David McCoy and wife Susan all of Lincoln, and Randy McCoy and wife Elizabeth of Prague, Neb. ; numerous nieces and nephews. She was preceded in death by her father, Alvin McCoy and one sister, Pamela McCoy. Memorial services will be held Wednesday, June 15, 2011, at 10 a.m. at the All Faiths Chapel on the BSDC campus with Chaplain Larry Ramsey officiating. Inurnment will be in the Tecumseh Cemetery. A guestbook for signatures and messages of condolence is available online at www. foxfuneralhome.net. Fox Funeral Home of Beatrice in charge of arrangements. 5764. “Linda K McCoy,” Find-A-Grave, https://www.findagrave.com/memorial/71279132, 71279132. 5765. “Alvin Arnold McCoy,” Find-A-Grave, https://www.findagrave.com/memorial/80071636, 80071636. 5769. 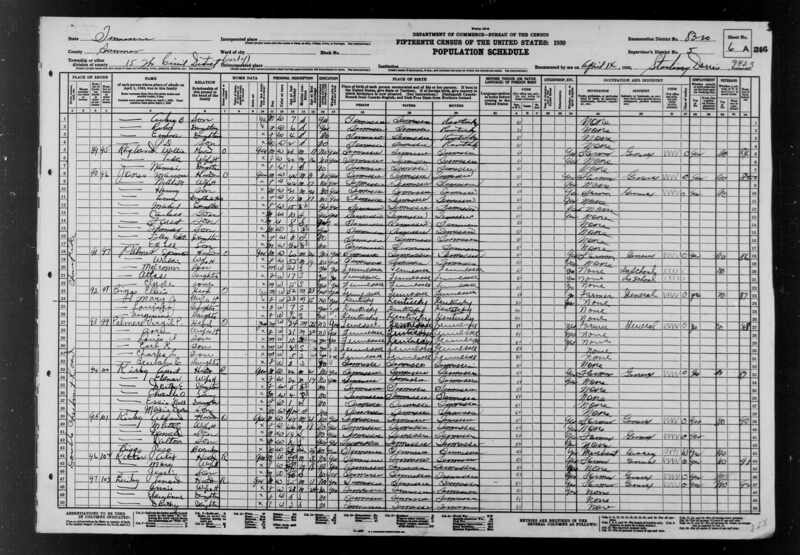 “Kansas State Census,” 1895, KS, Rawlins, Union, Thornton, 3, 4, Kansas Department of Health and Environment Office of Vital Statistics, March 1, 1895, Charles Gustafson. 5772. A V Dewees and Sarah J Johnson, “Kentucky Marriages, 1785-1979,” October 6, 1859, Marshall County, KY, https://familysearch.org/ark:/61903/1:1:F473-45Z. 5773. John L Dewees, “Vermont, St. Albans Canadian Border Crossings, 1895-1954,” November 21, 1915, St Albans Canadian Border Crossing, , https://familysearch.org/ark:/61903/1:1:QK31-HCK3. 5776. “Elisah Briley,” Find-A-Grave, https://www.findagrave.com/memorial/40915758, 40915758. 5777. “Mary Jane Gregory Clendening,” Find-A-Grave, https://www.findagrave.com/memorial/118930495, 118930495. 5778. “Chester Clendening,” Find-A-Grave, https://www.findagrave.com/memorial/118930473, 118930473. 5779. “Claude Halie “Hesley” Clendening,” Find-A-Grave, https://www.findagrave.com/memorial/38431637, 38431637. 5780. “Sam J Gregory,” Find-A-Grave, https://www.findagrave.com/memorial/35364946, 35364946. 5781. “Luria Estelle Russell Gregory,” Find-A-Grave, https://www.findagrave.com/memorial/28344719, 28344719. 5782. “Florine Gregory Uhls,” Find-A-Grave, https://www.findagrave.com/memorial/117953000, 117953000. 5783. “Glenn Dale Uhls,” Find-A-Grave, https://www.findagrave.com/memorial/167138479, 167138479. 5784. “Robbie Nell Gregory,” Find-A-Grave, https://www.findagrave.com/memorial/35365124, 35365124. 5785. “Helen Marie Gregory,” Find-A-Grave, https://www.findagrave.com/memorial/35365040, 35365040. 5786. “Lillie Gregory Carter,” Find-A-Grave, https://www.findagrave.com/memorial/104214446, 104214446. 5787. “Hickman Columbus Briley,” Find-A-Grave, https://www.findagrave.com/memorial/29214445, 29214445. 5788. “Cora R Briley,” Find-A-Grave, https://www.findagrave.com/memorial/29214226, 29214226. 5789. “Leonard Odell Briley,” Find-A-Grave, https://www.findagrave.com/memorial/29217416, 29217416. 5790. “Annie E Grubbs Briley,” Find-A-Grave, https://www.findagrave.com/memorial/29217389, 29217389. 5791. “Henry Justin Escue,” Find-A-Grave, https://www.findagrave.com/memorial/131029716, 131029716. 5792. “Dorothy Christine Briley Escue,” Find-A-Grave, https://www.findagrave.com/memorial/29212895, 29212895. 5793. “Obituaries,” Henry R Escue, The Tennessean, Nashville, TN, November 26, 2010. ESCUE, Henry R—Age 88 of Portland. November 23, 2010. Survived by wife, Annette Escue; son, Henry J. Escue; daughters, Julie Armstrong, Shirley Mills, Loretta Tamba and Tammy Thompson; 10 grandchildren; 3 great-grandchildren. Funeral services will be on Saturday, November 27, 2010 at 2 p.m., with visitation Friday from 2-8 p.m.
5794. “Obituaries,” Henry Justin Escue, The Tennessean, Nashville, TN, June 29, 2012, B4. ESCUE, Henry Justin Age 64 of Ashland City. June 27, 2012. Service Saturday 1 p.m. CHEATHAM COUNTY F.H., (615) 792-2552. 5797. “Obituaries,” Dorothy Christine Escue, The Tennessean, Nashville, TN, February 22, 2001, 19. ESCUE, Dorothy Christine—Age 73. Of Madison, TN. Wednesday, February 21, 2001. She is survived by her children, Justin Escue, Julie Armstrong, Shirley Mills, James Escue and Janie Sheppard; grandchildren, Chris Escue, Andra Armstrong Chen, Sara and Daniel Armstrong, Heather and Matthew Mills, Brandi and Joshua Escue, Clay and Faye Cantrell, Lance, Chad and Lindsay Sheppard; great grandson, Christopher Escue. Mrs. Escue's remains are at Cole & Garrett Funeral Home in Goodlettsville where the family will receive friends today 12 noon til 9 p.m. Funeral services will be at the funeral home at 2:30 p.m., Friday. February 23, 2001 with Rev. Ray Carson officiating. Grandchildren will serve as Pallbearers. Interment Old Halltown Cemetery. COLE & GARRETT, Goodlettsville, Tn., 859-5231. 5798. “United States Census,” 1930, TN, Sumner County, District 15, 6A, 5, 83-20, T626, 2342016, 246, 500, Bureau of the Census, US Dept. of Commerce, United States of America, April 14, 1930, Starling Dorris. 5799. 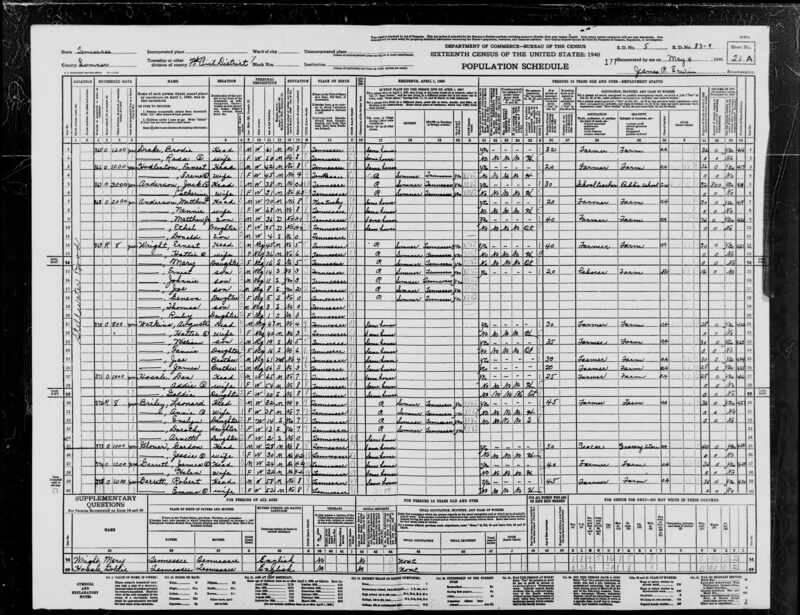 “United States Census,” 1940, TN, Sumner County, District 7, 21A, 5, 83-9, T627, 5461381, 372, Bureau of the Census, US Dept. of Commerce, United States of America, May 4, 1940, James R Erwin. 5800. “Death Notices,” Leonard Briley, The Tennessean, Nashville, TN, July 2, 1973, 31. BRILEY, Leonard—Age 66 years of Long Hollow Pike, Goodlettsville, Saturday evening, June 30, 1973 at Nashville Memorial Hospital. Survived by daughters. Mrs. Eddie Escue, Mrs. Dorothy Escue, both of Goodlettsville, Mrs. Henry Escue, Nashville; nine grandchildren; three great grandchildren; sisters, Mrs. Ivie Harper, Mrs. Mary Jane Clendcning, Nashville, Mrs. Lilly Carter,. Madison, Mrs. Beulah Jernigan, Sparta; brothers, Dillard Briley, Herman Briley both of Cotton-town, Clarence Briley, Portland. Remains are at the Cole & Garrett Funeral Home, Goodlettsville where services will be conducted Tuesday morning, July 3 at 10 o'clock by Rev. Fred Johnson. Friends will serve as pallbearers. Interment Halltown Cemetery. COLE & GARRETT FUNERAL DIRECTORS, Goodlettsville.